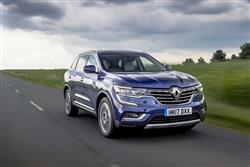 If you need plenty of space and want an affordable family-sized Crossover or SUV, your range of options is widening. 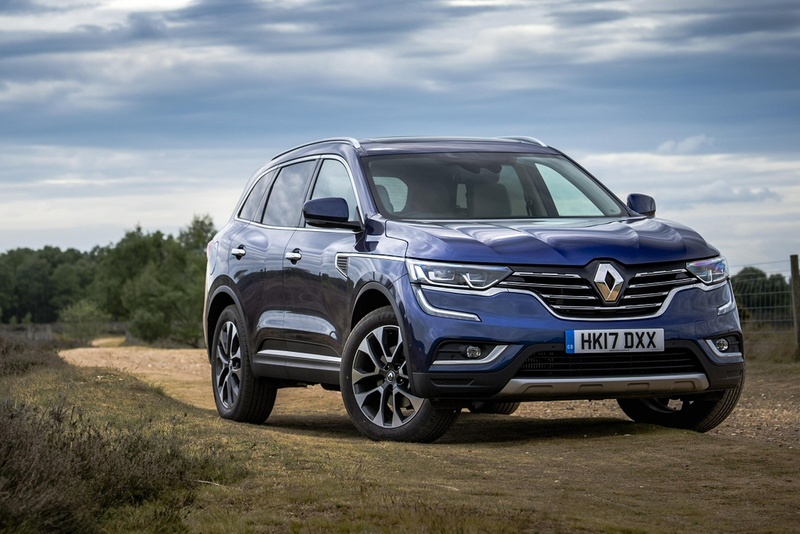 Here's a contender you might want to have on your list, Renault Koleos, which slots into the French maker's line-up just above the successful Captur and Kadjar Crossover models. If the Koleos name rings a bell, then that's because Renault has used it before - with an ill-fated Qashqai competitor that sold for just two years between 2008 and 2010, quickly withdrawn from sale because buyer interest in it was so low. Things should be a lot better this time round. The Koleos is based almost entirely on a Nissan X-Trail, an SUV which has proved to be a strong contender in the D-segment. It doesn't aim to compete directly on price with volume versions of the X-Trail, but that's only because Renault has kitted this car out with enough equipment to embarrass pricier competitors in this class from Kia and Hyundai. Koleos buyers are now limited to a single 2.0-litre 175hp dCi diesel engine mated to a seven-speed automatic X-Tronic gearbox. The auto is a CVT set-up that adjusts itself continuously whilst maintaining optimal engine speed and can also simulate gear shifts, producing more powerful acceleration. There's a choice of 2WD or 4WD. 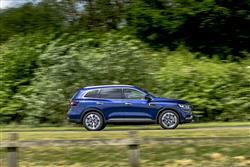 The four-wheel-drive Koleos model comes equipped with ALL MODE 4x4-I technology borrowed from its X-Trail design stablemate. This enables you to select your driving mode - AUTO, LOCK or 2WD - and keep complete control of the powertrain on any terrain. For tarmac territory, there's also what's called 'Active Trace Control'. By using on board sensors to monitor speed, steering angle, throttle opening and braking effort, Active Trace Control brakes wheels individually, as required, to reduce understeer and help the driver steer a safer path through bends: it is particularly effective on slippery, wet roads. 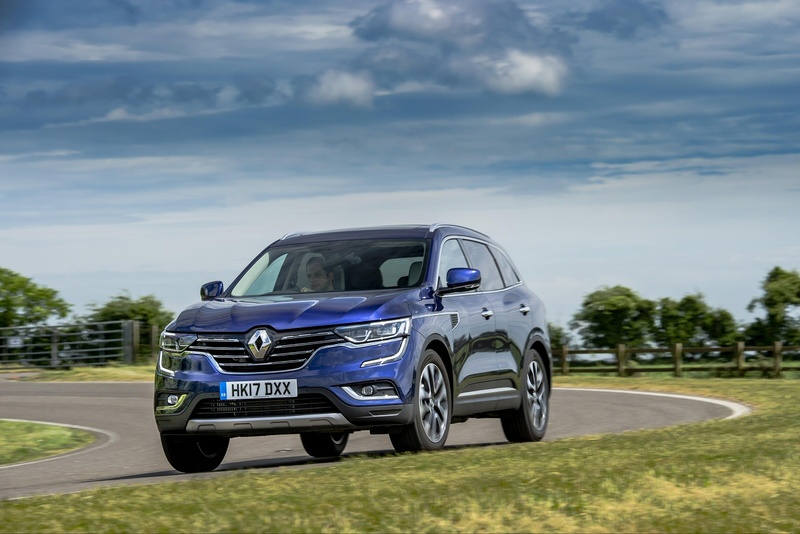 Visually, the Koleos echoes the look that's proved so successful for Renault in its Kadjar Crossover and under the skin, you'll also find that model's Renault-Nissan Alliance 'Common Module Family' 'CMF' platform. 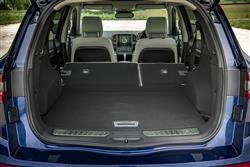 The designers say that it helps this SUV provide optimum space for both front and rear passengers. 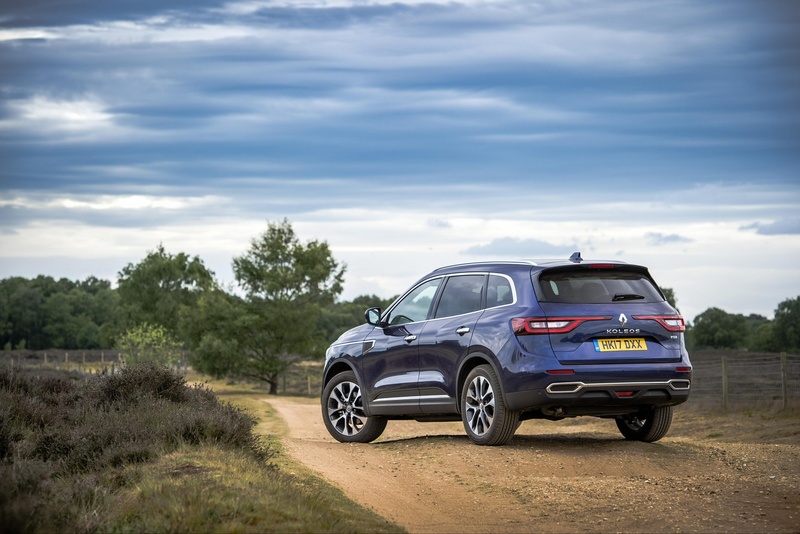 At the kerb, the Koleos is of course a significantly bigger thing than the Kadjar, measuring in at 4,672mm in length and offering impressive interior space thanks to a lengthy 2,705mm wheelbase. Indeed, rear knee room is amongst the best in its class at 289mm with rear passengers also benefitting from dual air vents, dual USBs (with two more in the front), a central armrest with cupholders and extra tinted rear windows. 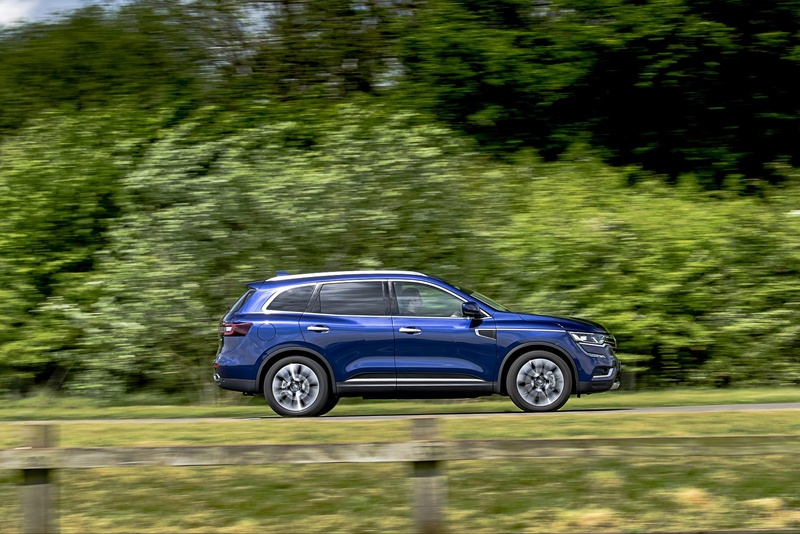 Though the Nissan X-Trail SUV this Koleos is based on can be ordered with 7-seats, this Renault is (for the present anyway) a five-seat-only model. The spacious interior hasn't been designed at the expense of boot space. There's 458-litres of that with all seats in place and 1,690-litres with the rear seats down. 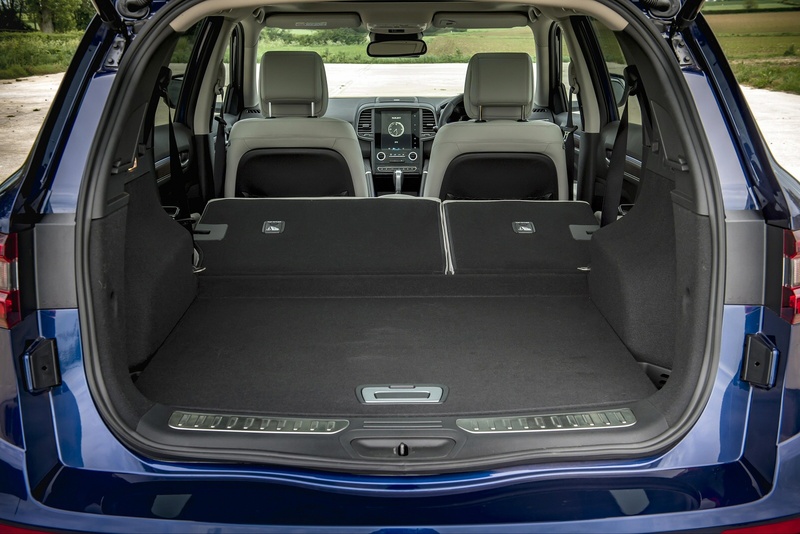 Achieving maximum boot capacity is made easier thanks to the standard 'One-Touch' easy folding rear seats which can be folded (individually or all at once) via a button in the boot. The top 'GT Line' variant comes with a powered automatic tailgate that can open or close the rear boot by a press on the keycard or, conveniently if carrying luggage, by waving a foot under the rear bumper. As you'd expect, pricing is competitive, starting at £27,500 for the entry-level 2WD dCi 175 'Iconic' variant. For 4WD, add a further £2,000. 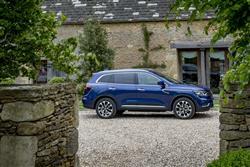 For reference, a Koleos is priced at nearly £3,000 above a comparable Nissan X-Trail, but the difference between the two models narrows considerably once you start adding a Koleos-like level of equipment. 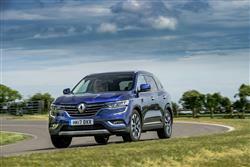 With this Renault, there are now two plush trim levels - 'Iconic' and 'GT Line'. All models are very well equipped, with features fitted across the range including an opening panoramic sunroof, part-black leather upholstery, tinted rear windows, ambient lighting, cup holders able to heat and cool drinks for front passengers and a central armrest with in-built cup holders in the rear. 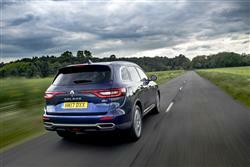 Automatic Dual-zone climate control, a Hands Free Keycard and automatic lights and wipers are also standard. Full infotainment comes courtesy of the standard centre-dash seven-inch touchscreen of the 'R-LINK2' multimedia system. This includes satellite navigation with TomTom LIVE traffic updates, Android Auto and Apple CarPlay smartphone connectivity, Bluetooth audio streaming and handsfree connectivity. Plus there's an Arkamys 3D Sound DAB audio system. 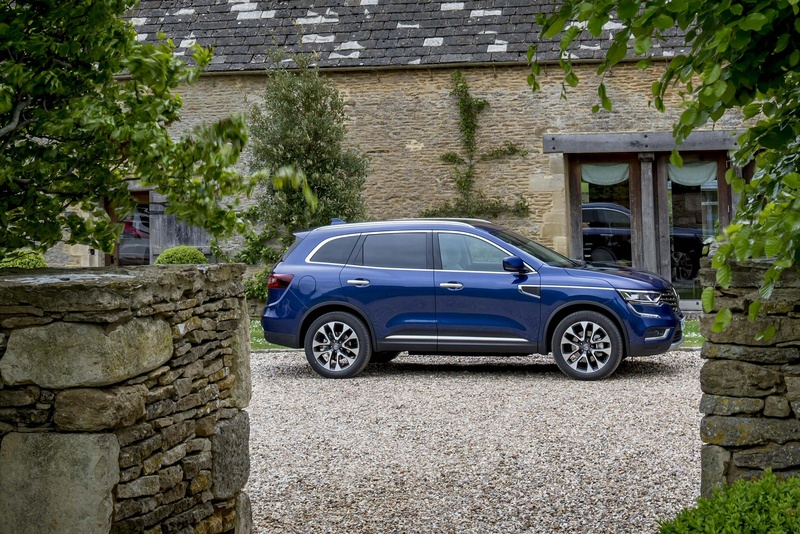 Outside, the Koleos 'GT Line' sports 18-inch two-tone alloy wheels and electrically adjustable heated and folding door mirrors. Longitudinal roof bars provide a hint at the rugged off-road capabilities of the SUV. Standard equipment on the top 'Initiale Paris' flagship model includes luxurious two-tone Nappa leather, Hands Free Parking, exclusive 19-inch two-tone alloy wheels, a 13-speaker BOSE sound system, full LED headlights, heated and ventilated front seats, heated and cooling cupholders, a powered Automatic Tailgate, One-Touch easy folding rear seats, an opening panoramic sunroof and a 8.7-inch portrait screen with R-LINK2 infotainment. Let's get to the figures. With the 2.0-litre dCi 175 engine an Xtronic auto transmission, this car returns 45.6mpg on the combined cycle and 163g/km of CO2 in 2WD form. In 4WD guise, the figures are 44.1mpg and 168g/km. To achieve these figures, Renault's engineers did more than just focus on the efficiency and performance of the engine and transmission. By reducing weight and optimising the car's aerodynamics, the engineers were able to make the Koleos particularly clean and frugal. Another aspect of purchase that should please you lies in the fact that you won't be fobbed off with the basic three year / 60,000 mile warranty that most rivals offer. All Koleos models come with a much more complete four-year / 100,000-mile warranty that includes emergency breakdown recovery. There's also three years' worth of European cover as part of this package. Servicing is required once a year or every 18,000 miles. If you�re looking for a new Renault Koleos 2.0 dCi Signature Nav 5dr Diesel Estate for sale, you�ve come to the right place. 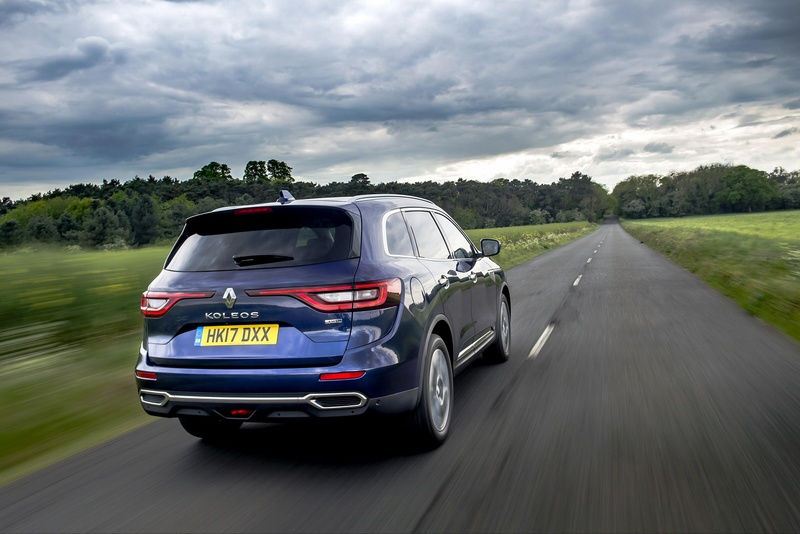 At Bristol Street Motors we don�t just have the best Renault Koleos 2.0 dCi Signature Nav 5dr Diesel Estate deals, we also offer friendly advice and help with all your enquiries to ensure your buying experience is a happy experience.